Ambassador Knut Vollebaek opened the two day conference for parliamentarians in Tbilisi, Georgia with a keynote address entitled the “Fragile international system: a time of change and uncertainty.” Recognizing the multifaceted challenges facing people, coupled with a growing deficit of trust in the capacity and commitment of the international community to address these challenges, Ambassador Vollebaek highlighted the importance of “a renewed consensus on the added value of the human security approach and its systematic application in international, regional, national and local governance mechanisms”. 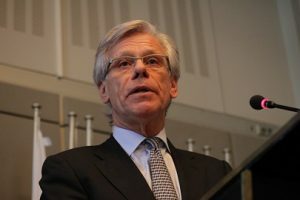 Ambassador Vollebaek underscored how a focus on human security can help reaffirm the structures and processes that support greater peace and stability, strengthen prosperity and enhance dignity for all. 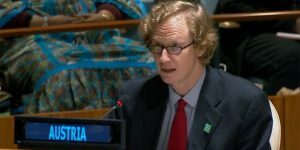 At an event entitled Human Security, Resilience and Dignity in Migration: Translating the Global Compact into Action, participants highlighted human security’s value as a proven framework for promoting better management of migration to reduce risks, build resilience and create conditions in which the benefits of migration can be fully realized and widely shared. Panelists at a second flagship event emphasized its importance for informing comprehensive, people-centred and preventive actions to address the vulnerabilities of people at risk of or compelled to move by disasters, climate change and environmental degradation. Please click here for more information on human security and migration. Aiming to support the scale-up of the first integrated human security programme in Cameroon, which is being implemented in the Far North Region, the UN Country Team (UNDP, UNICEF and FAO) and the Human Security Unit co-organized a donor luncheon attended by major bilateral partners in Cameroon, the Ministry of Economy, Planning and Regional Development, and the Inspector General of the Far North Region. The event highlighted the importance of the human security approach for developing strategies to address the confluence of challenges in the Far North, including endemic poverty, disaster vulnerability, and the risk of radicalization and violent extremism. 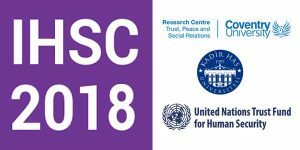 The 8th Istanbul Human Security Conference (IHSC) took place in collaboration between the Centre for Trust, Peace and Social Relations (CTPSR) at Coventry University, the UN Human Security Unit (HSU) and Kadir Has University. 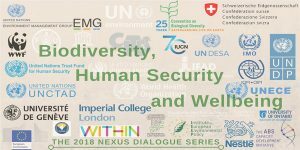 This year’s theme, ‘Human Security in Difficult Times II’ reaffirmed the importance of human security as a practical tool in addressing current and emerging threats around the world including the rise of populism, the persistence of sub-state violence, pressures on civil society and mass migration. Ms. Mehrnaz Mostafavi, Chief of the HSU underlined how at a time when existing paradigms fail to address the root causes of discontent, and anger continues to flare and erode the bonds of our common humanity, a focus on human security can provide “the rationale and methodology for why different entities must come together to limit the conditions under which human insecurities may grow and result in greater tensions.” She demonstrated how improvements in human security can respond to today’s challenges and contribute to long-term national, regional and international peace and prosperity. Click here for the full statement. In her statement at the 2018 Africa Dialogue Series, H.E. Ms. Finda Koroma, Vice President of the ECOWAS Commission stressed the need to adopt human security in policy and programme development and implementation to effectively deliver peace, security, human rights and development. 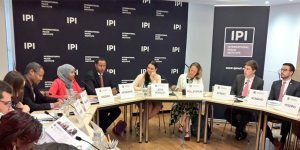 The session framed UN efforts in the Sahel Region as a case study for joint approaches in tackling the multiple interrelated and complex threats faced by the region. Ms. Koroma reaffirmed the commitment of ECOWAS to provide practical support to improve social infrastructure and targeted initiatives to prevent conflict. She also pushed for greater mobilization of resources for cross-sectoral programmes involving multiple stakeholders. At the Arab-Africa Platform on Disaster Risk Reduction, a Ministerial Luncheon entitled, Linking Disaster Risk Reduction, Climate Change Adaptation and Sustainable Development through the Human Security Approach was organized by the UN Human Security Unit (HSU) and the UN Office for Disaster Risk Reduction (UNISDR) in Tunis, Tunisia. The event highlighted the linkages between human security and the Sendai Framework informs disaster risk reduction strategies by simultaneously responding to economic, food, health and environmental insecurity of individuals and communities. Panelists stressed the importance of the human security approach in achieving greater inclusivity, cross-border cooperation, and cohesion among different actors to achieve enhanced resilience. Several UNTFHS programmes such as Tunisia & Mauritania, Rwanda and Kenya were highlighted as concrete examples. 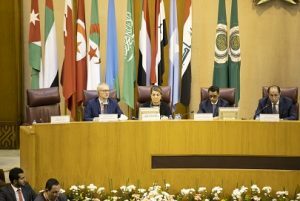 In “Reconceptualising Security: Why Now?”, the West Asia-North Africa (WANA) Institute argues that a human-centred security paradigm with youth at the core is fundamental to advancing regional peace and stability. 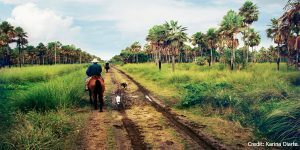 It demonstrates how a broader and more inclusive understanding of security allows policymakers to better address issues that transcend borders including violent extremism, climate change and migration. Moreover, it illustrates how a holistic approach that addresses the root causes of challenges and reduces vulnerability enables state institutions to navigate social change, build trust and safeguard development. Read the full publication here. 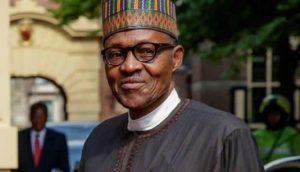 Speaking on the 58th anniversary of his country’s independence, President Muhammadu Buhari of Nigeria highlighted concerns about the impact of environmental degradation induced by climate change and the conflict between pastoralists and farmers on human security. He expressed Nigeria’s continuing efforts to work with regional and international partners to complement common efforts towards a sustainable environment. To this end, the UNTFHS is supporting the first and only interagency programme that aims to address the farmer-herder crisis in an integrated manner. 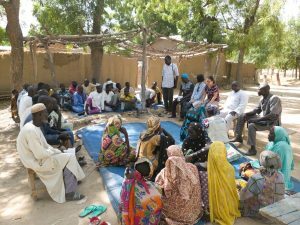 The pilot programme applies the human security approach to safeguard livelihoods and promote peace through improved structural protection mechanisms and dispute resolution at the local level. Lessons and best practices from this initiative will also inform polices within Nigeria and the region to mitigate climate-induced resource scarcity and competition and contribute to sustainable development. 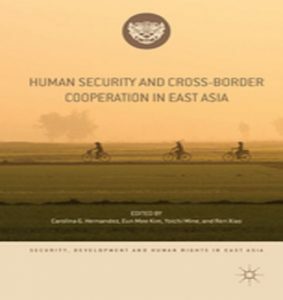 The JICA Research Institute hosted the symposium “The Practices of Human Security in the ASEAN+3: Recommendations from Academics and Practitioners” to launch the publication of the book “Human Security and Cross-Border Cooperation in East Asia”, a compilation of findings related to the practice of human security in the ASEAN countries, China, Japan and South Korea. In celebration of the 70th anniversary of the Universal Declaration of Human Rights, OHCHR and UNDP have launched a website showcasing how the defence and promotion of human rights are mainstreamed across the UN. 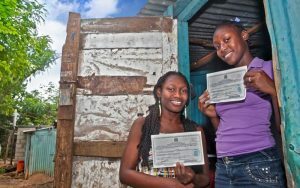 The UNTFHS programme in the Dominican Republic is being highlighted as an example of defending the right to a nationality by addressing the ambiguous civil status among Dominicans of Haitian descent. 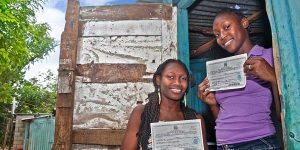 Recognizing that the denial of citizenship is a critical and pervasive threat to human security which leads to a loss of empowerment and social exclusion, the programme assisted individuals to secure documentation. 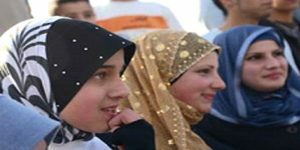 In protecting their rights, the initiative paved the way for improved political, social and economic conditions. Read the full story here. 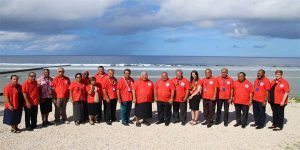 The 49th Pacific Islands Forum was held in Yaren, Nauru from 3-6 September 2018 and was attended by leaders and ministers from various countries across the region. At the forum, leaders recognized that climate change presents the single greatest threat to the livelihood, security and well-being of Pacific people; committed to the implementation of global frameworks that mitigate climate change and its effects; acknowledged the value of a multi-sectoral approach to address climate change and stressed the need for regional governance to address the risks in harmony with local needs. As such, governments advocated for prioritizing human security, environmental preservation, humanitarian assistance and regional cooperation in building resilience to disasters and climate change. 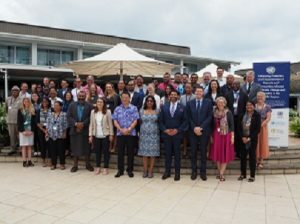 Representatives at the Pacific Islands Forum collectively demonstrated a way towards a more comprehensive and inclusive strategy to tackle the evolving challenges they face. Click here for the full communiqué. 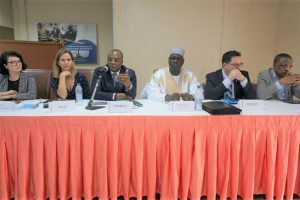 Local Government representatives from across Mauritania came together in an effort to enhance the resilience of their communities through localizing the Sendai Framework for disaster risk reduction. 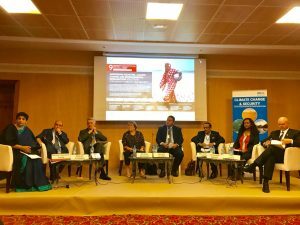 As part of the UNTFHS programme in Tunisia and Mauritania, this initiative enhances the resilience and capacities of local governments and communities to natural hazards through evidence-based action plans. 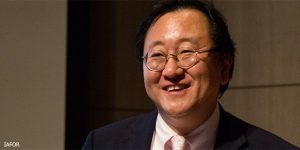 Stakeholders recognized the importance of a people-centred approach in actualizing the Sendai Framework and to actively addresses the interrelated social, economic, and health challenges that hinder sustainable development. Read more about how human security is helping local actors implement comprehensive disaster risk reduction plans here. 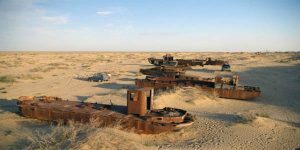 In 2012, the UNTFHS supported the first human security programme to address the multifaceted challenges facing communities devastated by the drying of the Aral Sea. 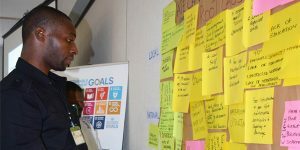 The programme brought together the UN system and a wide range of national and local stakeholders, highlighting the immense value of integrated, comprehensive and participatory strategies to advance sustainable development in the context of environmental disasters. Building upon the success of the programme, the Government of Uzbekistan in partnership with the UN system has established the Multi-Partner Human Security Trust Fund for the Aral Sea to scale-up efforts to address the interconnected challenges in the region, from expanding employment and income generation, improving public health, strengthening natural resource management and rehabilitating the local ecosystem. 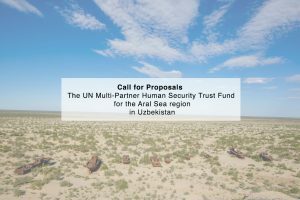 Through the catalytic effect of the UNTFHS programme, the Government and international donors can align their support under a strategic vision to reduce vulnerability and build resilience of communities in the Aral Sea region of Uzbekistan. At UNDP’s corporate side-event “Nature for Life: Accelerating SDGs Progress by Investing in People and Planet” at the 2018 High Level Political Forum, panelists highlighted how the loss of biodiversity and ecosystems, coupled with extreme weather events and natural disasters are significant threats to human security, increasing the risk of environmental refugees, conflict and social instability. 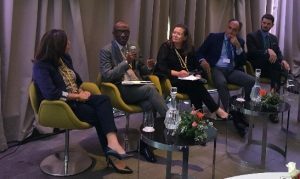 The event stressed the important roles States play and the need to strengthen partnerships with the private sector to address the interconnected challenges and spillover effects of environmental degradation. Click here for more information. The International Peace Institute (IPI) together with Saferworld organized a discussion entitled “Bringing Words to Life: How Are the SDGs Supporting Peace, Justice, and Inclusion?” Gathering diverse perspectives from the UN, academia and civil society, the roundtable discussion highlighted the value of a multi-sectoral approach for promoting peace, justice, and inclusion, as well as the need to focus attention on translating global frameworks into concrete action on the ground. Ms. Mehrnaz Mostafavi, Chief of the Human Security Unit, emphasized the importance of taking a comprehensive approach to the SDGs, localizing solutions through a bottom-up approach, and measuring success in achieving the 2030 Agenda by the positive impacts in the lives of people. 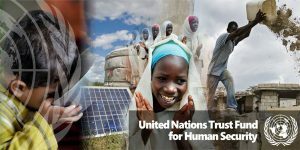 The Human Security Unit (HSU) organized an informal briefing with member States to discuss how best to position the UN Trust Fund for Human Security (UNTFHS) in view of the reform agendas and the priorities of the Secretary-General. Click the following links to read the full summary and view the presentation slides. Catastrophe hosted by the Government of Uzbekistan in Tashkent, Special Adviser Takasu highlighted the importance of the cross-sectoral and people-centred human security approach for addressing the multiple and interconnected challenges facing communities affected by the Aral Sea disaster. 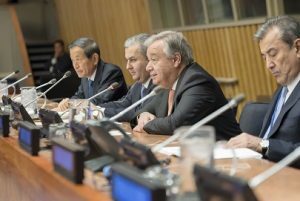 He noted the success of the UNTFHS programme, which provided the foundation for the establishment of a Multi-Partner Human Security Fund for the Aral Sea region by the Government and the UN system that aims to protect and restore the local ecosystem and empower vulnerable communities through human security initiatives. 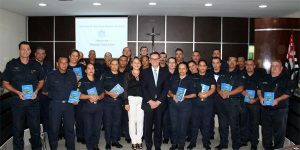 Following the International Forum on Human Security in Latin America, the Instituto de Segurança Humana do Brasil promoted human security through a series of workshops with diverse stakeholders from academics, to law enforcement and local authorities. The workshops raised awareness of the new book “The Universe of Human Security” and the Sustainable Development Goals to encourage a whole of society approach towards their achievement. At the Open Debate of the UN Security Council on “Protection of Civilians”, H.E. 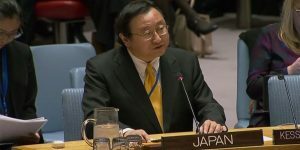 Ambassador Toshiya Hoshino, Deputy Permanent Representative of Japan to the United Nations highlighted “the importance of promoting human security through the empowerment and protection of people in all circumstances especially under armed conflict”. He also reiterated Japan’s continued commitment to alleviating the suffering of people and respect for international humanitarian law. Read the full statement here. 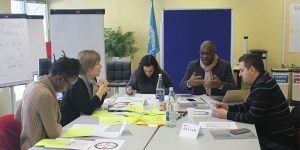 The United Nations Environment Management Group organized a dialogue entitled “Biodiversity Mainstreaming in the context of human security and Wellbeing” in Geneva, Switzerland. At the event, Ms. Mehrnaz Mostafavi, Chief of the Human Security Unit delivered a keynote address where she explained how “human security can help define both a shared agenda and entry points that will have positive multiplier effects on the preservation of biodiversity, economic development, social integration, and people’s well-being”. Read the full statement here. At the High-Level Meeting on Peacebuilding and Sustaining Peace, H.E. 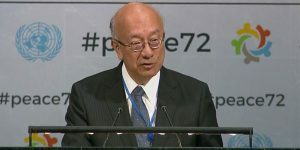 Ambassador Koro Bessho, Permanent Representative of Japan to the United Nations, made a statement indicating that human security is key to peacebuilding and sustaining peace. He shared the UNTFHS programme in Somalia, which addresses the root causes of conflict by improving basic social services, advances prevention through sustainable reintegration of returnees, and illustrates the power of partnerships for stabilization efforts. At the High-Level Meeting on Peacebuilding and Sustaining Peace, H.E. 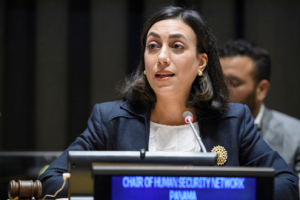 Ambassador Melitón Arrocha, Permanent Representative of Panama to the United Nations, made a statement on behalf of the Human Security Network. He highlighted how the human security approach is valuable “in supporting Governments and the United Nations system in the design and implementation of policies and strategies that address the root causes of conflicts, promote social integration and harmony, combat poverty and inequality, and build more secure and sustainable environments based on the participation and engagement of all sectors of society”. At the Open Debate of the UN Security Council on “Youth, Peace and Security”, H.E. 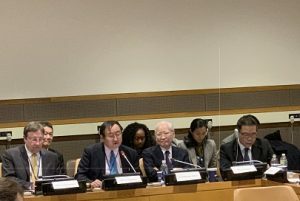 Ambassador Toshiya Hoshino, Deputy Permanent Representative of Japan to the United Nations highlighted Japan’s advocacy for the active participation and positive contributions of young people to peace and security based on the human security approach. He shared the UNTFHS programme in the Central African Republic as an example of promoting the consolidation of peace and social stability. Read the full statement here. At an open debate of the Security Council on Women, Peace and Security: Preventing Sexual Violence in Conflict through Empowerment, Gender Equality and Access to Justice, H.E. 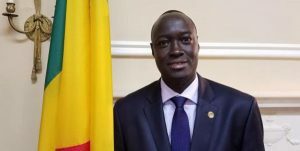 Ambassador Issaka Konfourou, Permanent Representative of Mali to the United Nations, made a statement on behalf of the Human Security Network. 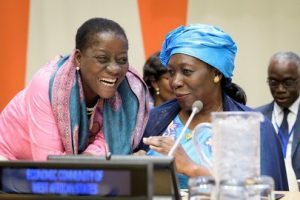 He highlighted that sexual violence persists long after a conflict has ended and called for an end to impunity, a focus on preventing future violations, and more comprehensive support for victims. 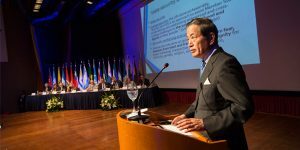 At the launch of the World University of Security and Social Development in Brasilla, Brazil, Yukio Takasu, Special Adviser on Human Security, delivered a statement which emphasized how human security transforms the relationship between the State and society by promoting participatory processes and a multi-sectoral approach. He noted how human security can play a catalytic role in improving citizen security in the Latin American region. 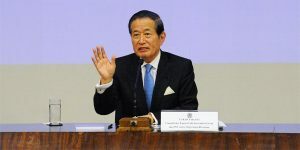 Yukio Takasu, Special Adviser on Human Security, delivered a statement at the International Forum on Human Security in Latin America in São Paulo, Brazil. The forum highlighted the role of the human security approach in improving policies and indicators to advance implementation of the 2030 Agenda and achievement of the Sustainable Development Goals. 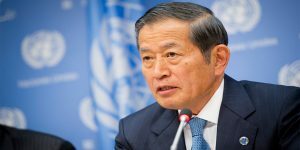 In the context of the Latin American region, Mr. Takasu emphasized the importance of the approach for inclusive actions that leave no one behind, address the root causes of multidimensional poverty and high rates of crime and strengthen prevention in the face of climate change and rapid urbanization in the region. The Human Security Unit led a 2-day Training Workshop in Jamaica with representatives of the Government of Jamaica at the national, parish and municipal levels and across ministries, the UN system in Jamaica, civil society representatives and community leaders from Northern Clarendon and West Kingston. The course provided 35 participants with in-depth knowledge of the application of the human security approach with a specific focus on the implementation of the UNTFHS programme in Jamaica. At the 62nd Session of the Commission on the Status of Women, H.E. 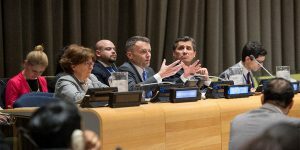 Ambassador Jan Kickert, Permanent Representative of Austria to the United Nations, made a statement on behalf of the Human Security Network. 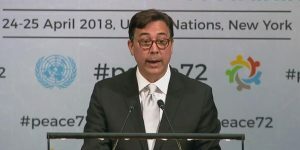 He highlighted “the strong interlinkage between human security and our common goal to achieve de facto equality between women and men,” noting women’s crucial role in building resilience, preventing and resolving conflicts, and sustaining peace towards achievement of the 2030 Agenda. 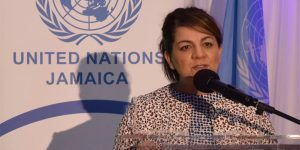 A high-level launch of the UNTFHS programme Strengthening Human Resilience in Northern Clarendon and West Kingston in Kingston, Jamaica, brought together a wide range of stakeholders to highlight the first human security programme in the country. Focused on addressing the complex nexus of climate change and sustainable development in Small Island Developing States, the programme promises to make tangible improvements in the daily lives of Jamaicans, as well as provide lessons for other countries in the region and beyond that face similar challenges. Click here to read the keynote address by Ms. Mehrnaz Mostafavi, Chief of the Human Security Unit. 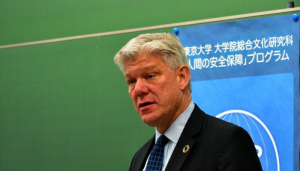 Mr. Fabrizio Hochschild, Assistant Secretary General for Strategic Coordination, gave a special lecture at the University of Tokyo entitled “Future of human security: Its increased importance in a struggling world – from the United Nations perspective.” He noted that the human security approach is echoed in the Secretary-General’s vision and reform agenda and as such is a valuable vehicle for strengthening the UN system’s efforts to be better at anticipating crises and building resilience. The second 4-day global training on Implementing the 2030 Agenda through the Human Security Approach organized by the UN System Staff College and the Human Security Unit brought together participants from 12 countries, representing the UN system, other inter-governmental organizations, and national governments. It equipped participants with the skills and knowledge to address multi-dimensional and interconnected risks, and advance planning towards achieving the 2030 Agenda through the human security approach. See more photos from the training here. 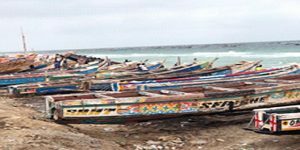 The 4-year ANTHUSIA (“Anthropology of Human Security in Africa”) was officially launched. 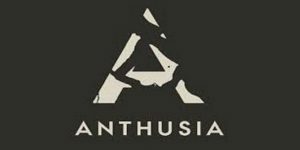 ANTHUSIA is run by a consortium of four universities in Belgium, Denmark, Norway and United Kingdom and cooperates with numerous partner organizations in Africa. The Human Security Unit is a partner in the project that will combine interdisciplinary insights from Anthropology, Human Security and African Studies to develop analytical tools to critically understand and contribute to strengthening human security in Africa and beyond. 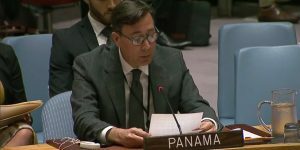 At the Open Debate at the UN Security Council on the “Maintenance of International Peace and Security: Addressing Complex Contemporary Challenges to International Peace and Security” H.E. 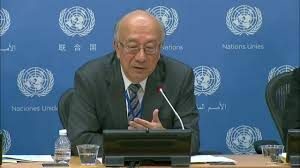 Ambassador Koro Bessho, Permanent Representative of Japan to the United Nations, and the Secretary-General highlighted the value of the human security approach for addressing complex contemporary challenges and underscored its usefulness as a framework for strengthening the UN’s focus on prevention. The UNTFHS Call for Proposals was released with the deadline of 30 September 2017. We are grateful to all who submitted proposals. 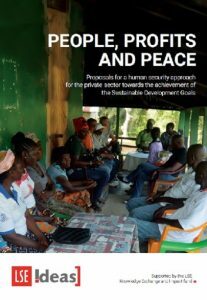 The UN System Staff College has a new course on Applying the Human Security Approach for Agenda 2030. 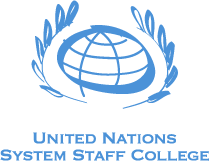 For more information, watch this video and register on the UNSSC website. On 16 June 2017, Panama took over leadership of the Human Security Network from Slovenia. 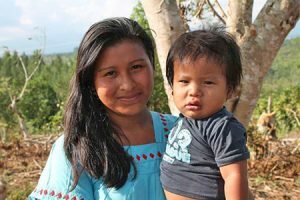 A UNTFHS programme implemented by PAHO has produced new outreach materials for countries in the Latin America and Carribean region. The first country specific flyer released is for the Dominican Republic (in Spanish).